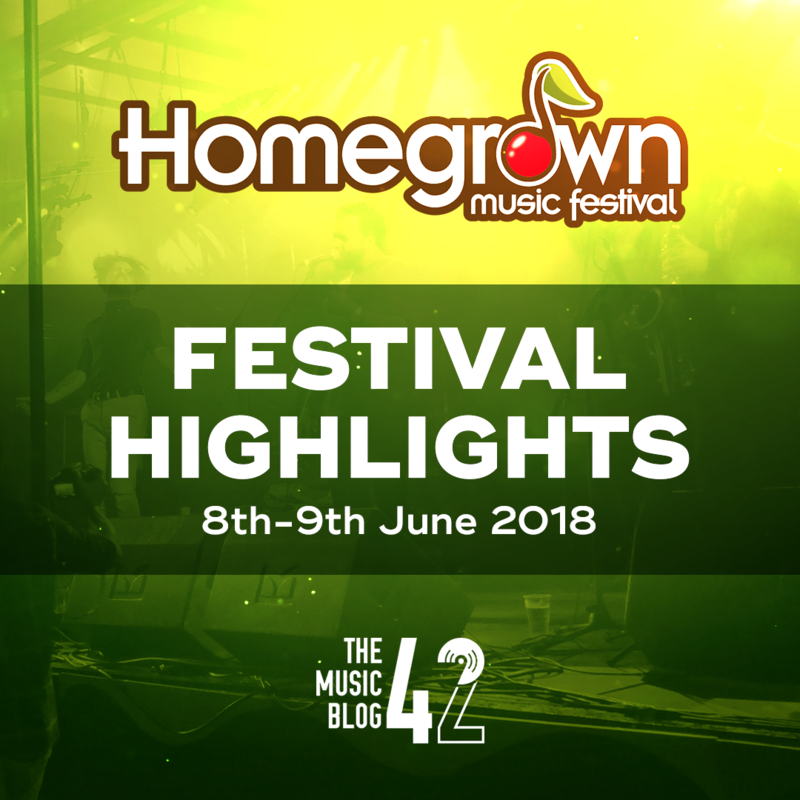 After two brilliant days at Homegrown Festival 2018, here’s our highlights of the brilliant weekend, although all of the bands were awesome! The first act we saw at the Festival was the underrated talent Connor Adams. Hailing from Ipswich, he released his first EP only a few weeks ago, and the songs from this sound pretty awesome live especially the title track Open My Eyes. Alongside the new tracks was an inspiring cover of The Chain by Fleetwood Mac which really set the tone of the weekend! A really great set to open up the festival. Making their debut at Homegrown Festival were young duo Influx of Insanity, bringing their heavy prog-rock to the fields of Barrow. It’s been a phenomenal few months for Dom and Oli, having won BurySOUND and Cambridge Band Competition, and starting to recording new music for their upcoming EP. A slight change to their set list paid off with tracks like Scaffolded Minds and Envious Souls sounding better than ever. Tom Lumley played his first of many festivals this summer, having confirmed a slot at Truck Festival a few days previously. Lumley has a knack of writing anthemic indie bangers, and his last single Skyhigh is one of many on his packed setlist. One of the highlights of the weekend was his passionate performance of yet-to-be released track Crawling, a track which shows off a heavier side to Lumley’s music but also proves that he is still one to watch in the Cambridge area. After playing The Apex the night before, The Catch dropped in and played a stormer of a set featuring old favourites like Artist and Effort, but it’s the rock-influenced Sort It Out and fast-paced fan favourite Tie Dye that went down really well with the Saturday afternoon audience. The trio also played a few new tunes which you can expect to hear real soon. They play Cambridge Junction tomorrow night (15th June), be there! Among The Citizens were another band who played at The Apex the night before, and here they delivered a set which proves why they are highly thought of in the region. Tracks like Curved Lips and Needy not only shows off the band’s versatility in their styles, but makes their set list even more varied alongside the heavier, guitar-driven tracks like their brilliant new single Mess In The Head. Having seem them at the Bury Fringe All-Dayer, we were excited to see Blue Mean Eyes and they definitely didn’t disappoint. They played songs from their 2017 EP Through The Mill like Brixton Shrug and our favourite Escapade whilst also teasing new material. After several line-up changes it seems like the trio have finally settled as a band, and it’s exciting to see how their sound develops over the following year. One band who always goes down well with a crowd wherever they play are the psychedelic quarter KYANOS. Having won BurySOUND’s Rising Star award, they were given an early evening set which showed off their talents playing smooth instrumental tracks and the usual crowd pleasers like Thunder In Japan and So High. The band also teased new music to be released soon in the form of an EP, more news when we get it! One of several artists at Homegrown who we hadn’t seen before was young rising star Gabby Rivers, and after this showing we can’t wait to see her again. Not only does she write some really awesome original tracks, Gabby also played some enjoyable covers like Portugal, The Man’s Feel It Still and Florence + The Machine’s Dog Days Are Over which had the crowd singing along. An inspiring talent at only 15 years old, definitely one to watch. When it comes to energetic indie rock tunes, Fick As Fieves are the pick of the bunch. Deservedly, they co-headlined The Coastline Stage with an impressive light show throughout their fast-paced, catchy set. A moshpit formed in the crowd when the trio played tracks like English Weather and Wasteman, whilst new tracks from their debut EP Drift End like COL and Outstayed prove why they are one of the region’s finest live bands. More new music could be on its way to your ears by the end of the year, watch this space! Saturday’s epic day of music was closed by the funk-soul legends Stretch Soul Gang. Their epic hour-long set was full of original classics which made the whole field have a dance. Opening their set with latest single Open Up Your Eyes, the Gang kicked in to gear with their next single Hit The Deck, fun groover Poncho Villa and the always outstanding Sharks At The Wheel. One of our highlights of the whole festival was the performance of Ungrateful which featured a rare live outing from soul singer Steven Bamidele whose vocals complimented the flawless falsettos on the track. They closed their set on debut single Ain’t Got No Money, followed by a fireworks display to round off the day. Let’s hope they get invited back for the third year running next year! We had a great time at our first Homegrown Festival, and we want to thank the organisers (especially Sara!) for their support, and for putting on an awesome weekend!